As illustrated in last week’s post, the mature seeds of dicots – depending on the species – can be either with or without endosperm (a starchy food packet that feeds a growing seedling upon germination). Seeds without endosperm store these essential sugars in their cotyledons. Monocotyledons (or monocots, for short) are a group of flowering plants (i.e. angiosperms) whose seedlings are composed of a single cotyledon. With the exception of orchids, the seeds of monocots always contain endosperm. 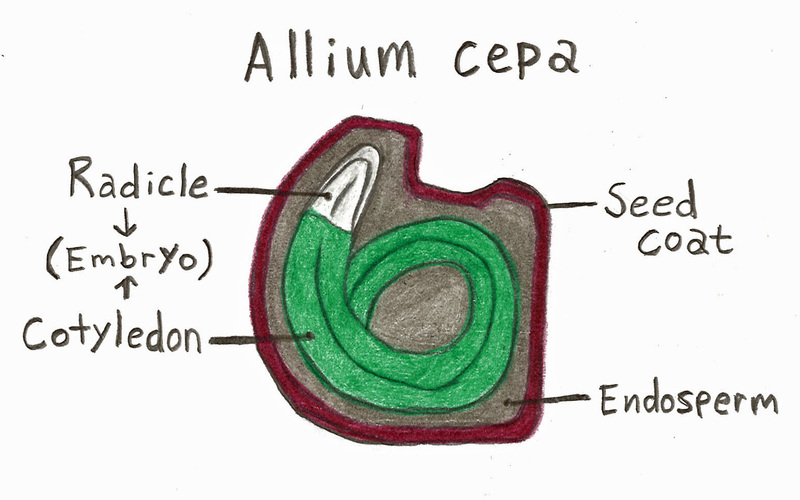 The first of two examples of monocot seeds is the common onion (Allium cepa). The embryo in this seed sits curled up, surrounded by endosperm inside of a durable seed coat. 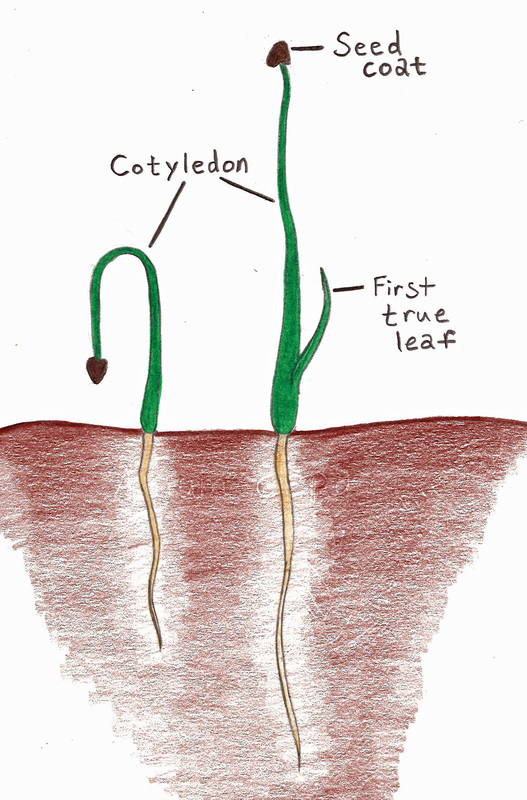 If you have ever sown onion seeds, you have watched as the single, grass-like cotyledon emerges from the soil. The seed coat often remains attached to the tip of the cotyledon like a little helmet as it stretches out towards the sky. Soon the first true leaf appears, pushing out from the base of the cotyledon. The source of this first leaf is the plumule hidden within the cotyledon. The fruit of plants in the grass family – including cereal grains like wheat, oats, barley, rice, and corn – is called a caryopsis. In this type of fruit, the fruit wall (or pericarp) is fused to the seed coat, making the fruit indistinguishable from the seed. The embryos in these seeds are highly developed, with a few more discernible parts. 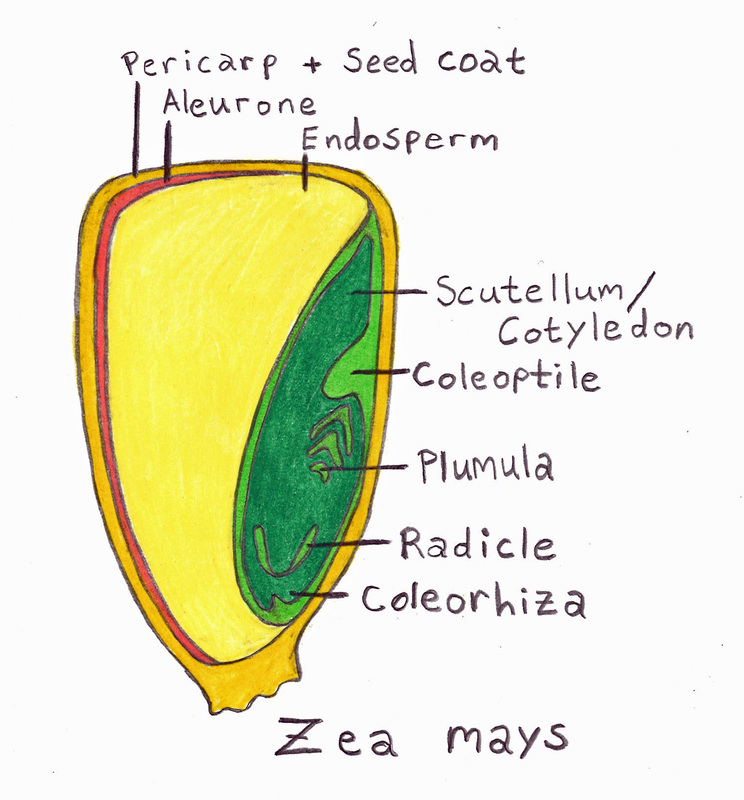 A simplified diagram of a corn seed (Zea mays) is shown below. 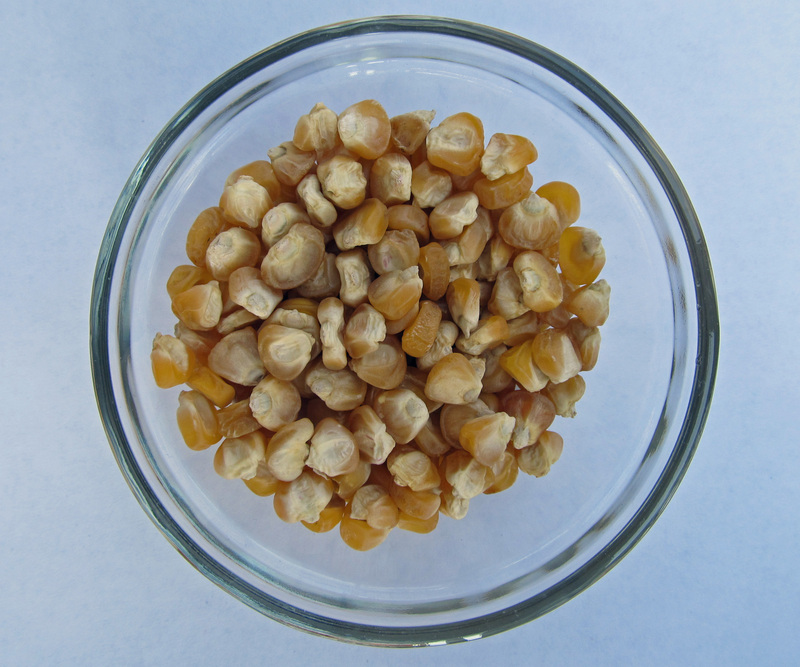 Each kernel of corn on a cob is a caryopsis. These relatively large seeds are great for demonstrating the anatomy of seeds in the grass family. In these seeds there is an additional layer of endosperm called aleurone, which is rich in protein and composed of living cells. The cells of the adjacent endosperm are not alive and are composed of starch. The embryo consists of several parts, including the cotyledon (which, in the grass family, is also called a scuttelum), coleoptile, plumule, radicle, and coleorhiza. The coleoptile is a sheath that protects the emerging shoot as it pushes up through the soil. The plumule is the growing point for the first shoots and leaves, and the radicle is the beginning of the root system. The emerging root is protected by a root cap called a calyptra and a sheath called a coleorhiza. Germination begins with the coleorhiza pushing through the pericarp. It is quickly followed by the radicle growing through the coleorhiza. As the embryo emerges, a signal is sent to the endosperm to start feeding the growing baby corn plant, giving it a head start until it can make its own food via photosynthesis. 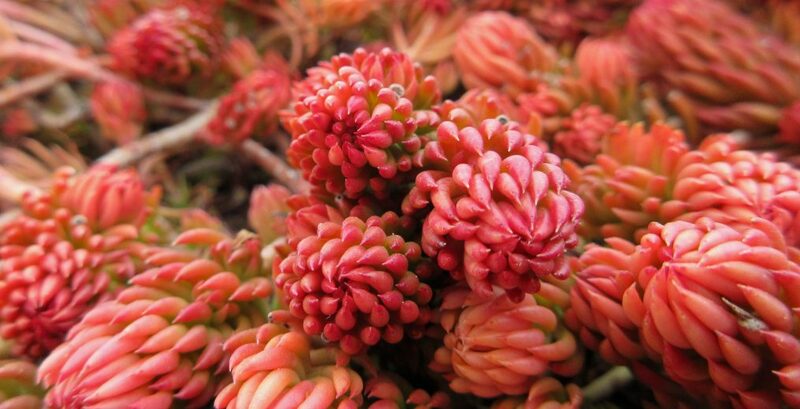 Up Next: We’ll take an inside look at the seeds of gymnosperms. Do you find these posts valuable? Consider giving us a high five in the form of money to help us continue to tell the story of plants.